What is the purpose of the Mini Bin Kits? Larger bin kits are usually reserved for much more focused commercial application, but sometimes all a company really needs are mini bin kits in order to round out their storage solutions. These smaller bin kits offer less in terms of share items, but they are more economically feasible in certain situations. Small and medium companies that require bin storage but can't justify the purchase of larger bin kits benefit from having these mini bin kits available to them. 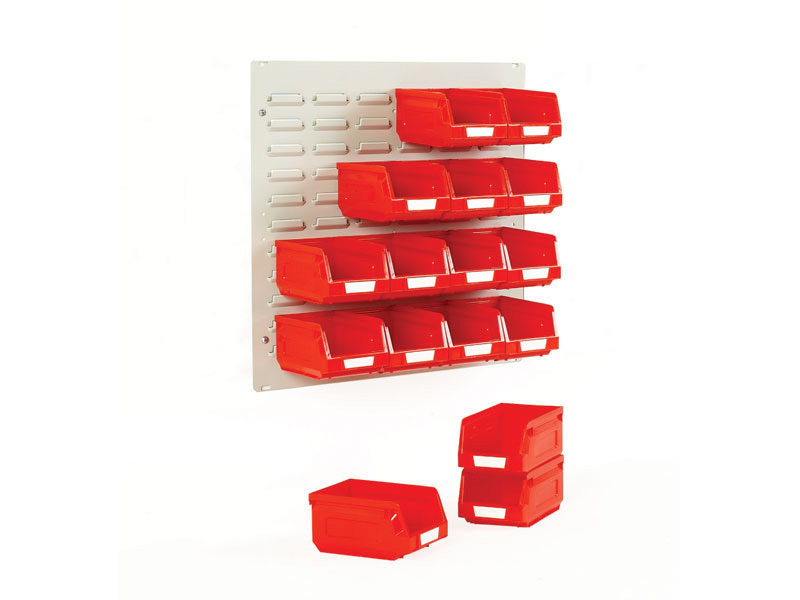 These mini bin kits are a wonderful addition to smaller companies that need bin storage, such as smaller hardwares or auto mechanics. These companies can easily benefit from having bin storage, enabling them to increase efficiency by color-coding their items. 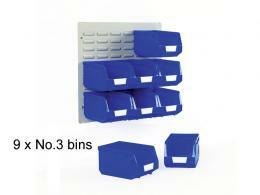 Even smaller retail outlets can benefit from having these bin kits. The variety of items in these smaller retail outlets don't require as much storage space as the larger bin kits offer, and these mini kits offer them the kind of storage they need at a reduced cost. 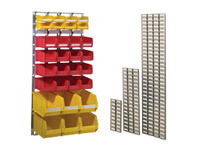 Smaller retail outlets can utilize these mini bin kits in order to sort and store smaller fixtures, such as nails, bolts and screws by size and thread. They can also utilize these bins to speed up the purchasing process by having particular items in particular color-coded locations. Auto mechanics utilize these bins for storage as well, keeping both tools and utility items at hand for quick use. Things such as screws, tubing and even containers of grease can be stored for easy access from these bins. These small bins are one of the best things for smaller enterprise as it offer the opportunity to experience bin storage to companies that can't otherwise justify the purchase of a full bin kit. The panels come in dimensions of 500mm x 500mm. 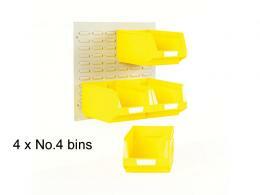 This kit offers bins in sizes such as No.2, No. 3, and No.4. These bins can be used for sorting, thanks to the different colours available, such as red, blue, and yellow or green.